Week 25 saw Bourns visit Sheffield RFC for the very first time. The Abbeydale sports complex is huge and with a very pleasant back drop of rural South Yorkshire to view, all was set for Bourns to try and secure their Midlands Premier League status for another season. Matt McKeown stepped up to a starting back row birth for unavailable Angus Low and John Hargreaves returned at centre for the injured Mark Coulson. Paul Sumner returned to the wing to allow Alex Warner to start at full back. There is a slight slope on the excellent surface and a low-level breeze accompanied the use of that slope. The early exchanges were typically amongst the forwards arm wrestling each other to get past the gain line. The Sheffield pack weren’t exactly small in either weight or height, but their front row was certainly different from the home fixture. Both sides created one scoring chance each in the first ten minutes, but the defences won the day. Just on the quarter hour, Bourns were offside in mid field and the Steelers scored the first 3 points of the day. Bourns responded well and following a fine break by winger Ethan Walker, he couldn’t quite get to the line and Sheffield cleared their lines. Bourns certainly had ascendancy at scrum time and several penalties were secured from scrum offences. Rhys Harrhy had a kick from wide out which just missed. Sheffield cleared to half way, but Bourns lost the line out. Two phases of play at pace but the left winger in and with the conversion from wide Sheffield held a 10-point lead. Bourns responded well and forced several penalties which Warner duly placed the kick into the opposition 22. Some fine carrying in the loose with James Weaver and Tom Holliday leading the charge forced a penalty kicked by Rhys Haarhy. On 35 minutes Bourns tied the game up at 10 a piece with the forwards battering the line with Holliday being driven over near the posts. All good so far. The second half started well for Bourns with the home side knocking on from the kick off in the 22. From the scrum the forwards drove at the line, with a penalty advantage Warner dropped a goal to take the lead for the first time. The Bourns penalty count started to rise which rather let the pressure off the home side in defence and allowed the tallest second rows in the league to provide a line out platform. Bourns came under pressure, but the 22-meter line was not breached. Likewise, Bourns couldn’t breach the Sheffield 22 either and there was a stale mate as play yo-yoed between the 22’s. On 65 minutes Rhys kicked a penalty to give Bourns a deserved 16-10 lead. On 73 minutes Rhys had another opportunity but the kick just wouldn’t come around. Just past 76 minutes, Sheffield made a line break and the winger took several would be tacklers over the line with him for a converted try giving the home side a slender 1-point lead. We had one last chance with a line out but the defence was solid and Bourns once again were on the wrong side of a close score line but gained a vital losing bonus point. The mobile phones were in full use and news filtered through that the result at Lichfield versus Syston meant neither team could catch us regardless of the final weeks results. The relegated three are the two aforementioned sides and Derby. 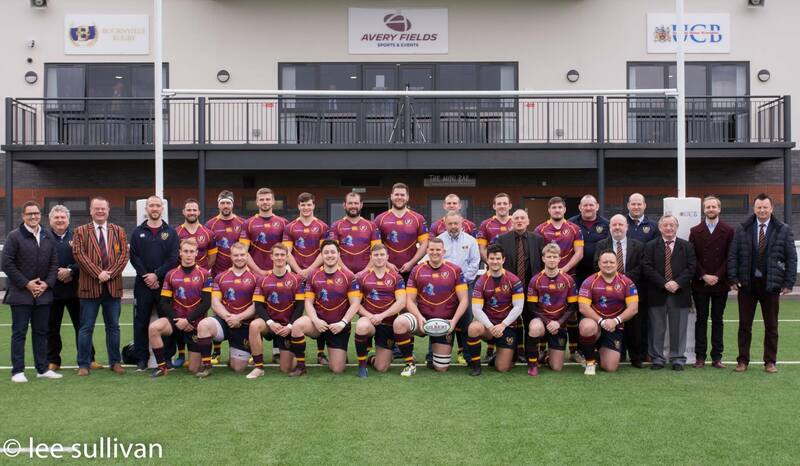 Well done to the boys for maintaining a competitive league status and we move on to the last game of the season as Syston visit Averyfields which co-incides with the grand opening of the ground and club house. Star man for Bourns today was flanker Matt McKeown who probably had his best game for the club, displaying some great aerial skills in taking the ball and being a great link of continuity in securing possession. Team: 15, Alex Warner, 14, Paul Sumner, 13, Henry Hughes, 12, John Hargreaves, 11, Ethan Walker, 10, Mitch McGahan, 9, Rhys Haarhy, 8, Rich Corr, 7, Jonjo Fanning, 6, Matt McKeown, 5, Tom Holliday, 4, Steve Handy, (capt), 3, Sam Roe, 2, James Weaver, 1, James Burgoyne, 16, Terry Sigley, 17, Jacob Lisle, 18, Ollie Neill.